10:30am to 1pm, April 12-15, 2012. Ripple Effect members David Samis and Lewis Villegas, and UBC Associate Professor Veronica Gaylie, presented a daily walking tour for the Critical Educators for Social Justice (an AERA SIG). Using Vancouver’s Historic Area as the City Classroom, the presentation and urban walk focused on city planning and its influence on social, cultural and sustainable development in the city’s oldest neighbourhoods. Friday and Saturday, March 23-24, 2012. 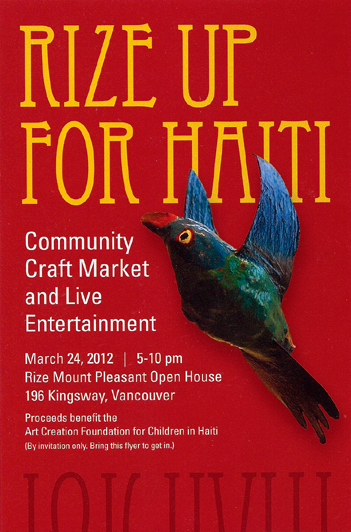 REAL Society teamed up with Sweet Harriet Design to bring the Square Community Market, a fundraiser for Art Creation Foundation for Children, created for education and personal growth of children in need in Jacmel, Haiti. The historic Jentzen’s showroom in Vancouver was transformed into an indoor community square where visitors could browse one-of-a-kind items from a diverse selection of artists and artisans. In addition to Ripple Effect and Sweet Harriet Design, participating vendors included Paperback Note, Silver Trumpet, Meiku Designs, Jennifer Conway, Kam & Lee, A Cagey Bee, Downtown Betty, Gerald & Rose, Daub + Design and the Noisy Neighbour. There was a local food fair, live music and entertainers, arts and craft table for kids, and a silent auction. See also the event’s Facebook page for more information. 11am to 6pm at Olympic Village, Vancouver, BC. Ripple Effect was proud to partner with Limelight Productions and the BC UN-RCE to produce the Love Vancouver, Love Your Planet art, music and green lifestyle festival. 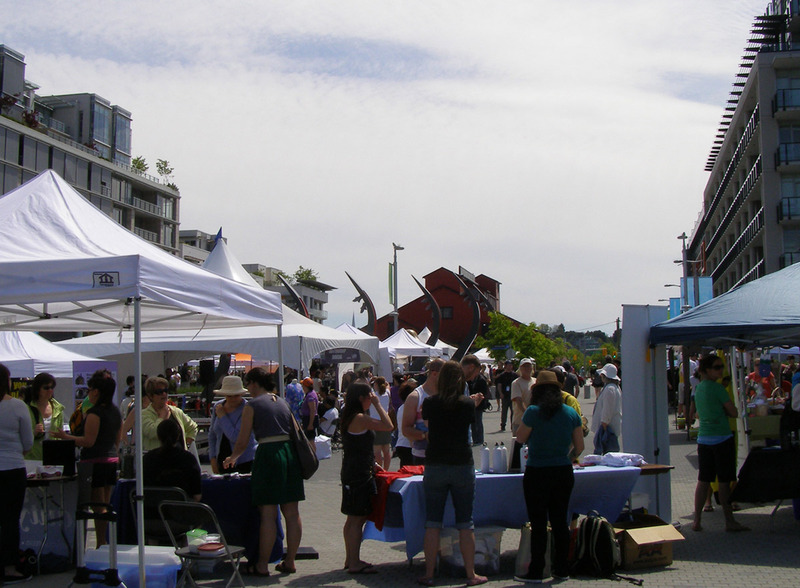 The free outdoor sustainability fair came alive on UN World Environment Day in the Olympic Village square along the False Creek seawall, attracting over 5,500 attendees during the day-long event. The festival encourages Vancouverites to build a more sustainable future for the city by bringing communities together to share ideas and celebrate innovations. The fair featured dozens of local exhibitors showcasing the latest in sustainable products and food, hands-on workshops and demonstrations of green technologies. 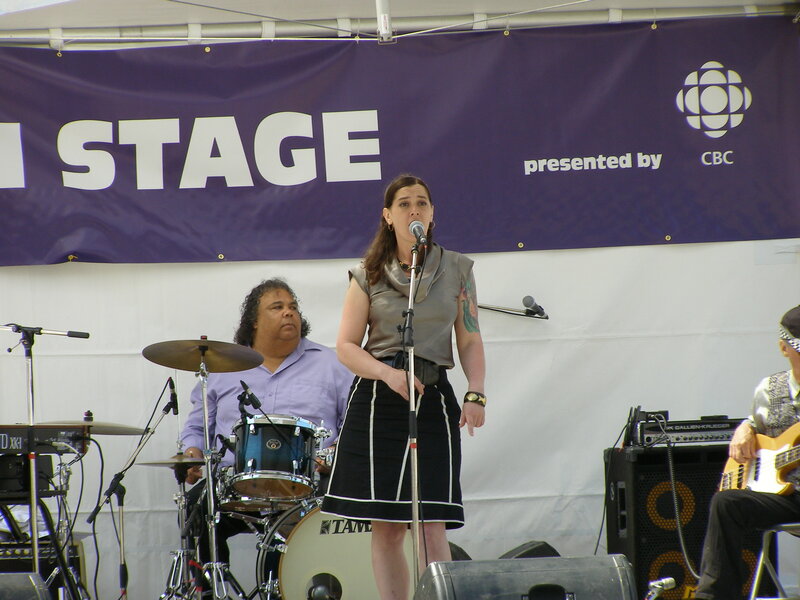 The festival also included vegan food vendors, arts and crafts, sustainable clothing, and featured a craft beer garden and live music stage in the central square, where local artists Fools and Kings, David Blair and Blake Harvard performed. See also the Love Vancouver Facebook page for more information. The Wordscapes Youth Arts Journal was launched in April 2008 in Vancouver during BC Book and Magazine Week celebrations. Hosted by acclaimed slam poets Brendan McLeod and Barbara Adler, the evening featured performances by a dozen talented teens reading their poems, short stories and essays published in the first two issues of the journal. Youth from schools all over the Lower Mainland and Victoria read, including; Lowell Fleming, Sarah Andersen, Jasmine Hendriks, Rachel Goddard-Rebstein, Keith Gaudry-Gardner, Sarah Vitet, Jessica Knowles, Rena Zhou, Lisa Liu, Emily Perkins, Charlotte McGee, Diandra Barsalou, Laura Thorne. Local author Michael Hetherington also made a special appearance. For the second year in a row, REAL held the Wordscapes launch party at the West Vancouver Memorial Library as part of the BOOKtopia Literary Festival. The evening was hosted by Tanya Boteju and Meghan Stewart from Ripple Effect, and featured a lively performance by local slam poets Barbara Adler and Brendan Mcleod. Youth authors reading from Wordscapes included: Anna Bunce, Trevor Janes, Billy Zou, Lisa Liu, Nini Wang, Anaheed Saatchi, Claire Tomsett, Sara Sheridan, Brittany Armstrong, Laura Thorne, and Geneva Bazin’s painting “Once Upon a Tree” — the cover art for this edition — was on display. We’d like to thank everyone who attended and helped plan the festivities. A special thanks to our partners, BOOKtopia; the West Vancouver Memorial Library for again donating the beautiful venue; and the West Vancouver Community Foundation for providing financial support for the event the past two years. Ripple Effect Arts and Literature Society held the Wordscapes 2006 launch party April 28th, 2006 at the beautiful West Vancouver Memorial Library atrium space. The evening was hosted by Tanya Boteju and Vanessa Violini from Ripple Effect, and featured a performance by local spoken word artist, Rachel Flood, a youth art gallery, deejay and free refreshments. Youth authors reading from Wordscapes included: Lauren Pearce, Hilary Angus, Crystal Huang, Eve Haley, Ryan Hayes, Danielle Thien (who also played piano as the guests arrived), Murdoch Pollon, Lise Levesque, and Esther Mackenzie (front cover artist). An over-full turnout and excellent readings by all the young people involved made for a great event, and we’d like to thank everyone who attended and helped plan the festivities. A special thanks to our partners, BOOKtopia Youth Arts Festival, the West Vancouver Community Foundation and the West Van Mayor’s office for providing funding for the event through the Cultural Capitals of Canada Program.